Hope your weekend is going great! Mine so far has been absolutely fantastic. Even with the snow and the -14c (7 F) weather. Spring right? Ha-ha! At least the sun is shining. I have joined the great bloggers who post Ten Things of Thankful over at Considerings. It seems to be a Saturday event. Go on over and look around and maybe join. Lizzi is a very nice woman who writes so well. You will enjoy her blog even if you don’t join the Ten things of Thankful. I also have a love affair with lists…..so it’s perfect for me! So let’s see what I’ve been thankful for this week. 1. Chances – Sounds strange right? Let me explain. I’m thankful for having more chances to live, to love, to be happy. Every day that I wake up in the morning is another day of chances. I am going to grab mine with both hands. Every. Single. Day. I have had some chances come my way this week that is frightening and exciting all at the same time. And you know what? I’m going for it! 2. Best Friends – I am so grateful for best friends. People who love me for me. For laughing with me and actually understanding my humor. For talking to me, for liking me. I love my best friend. 3. 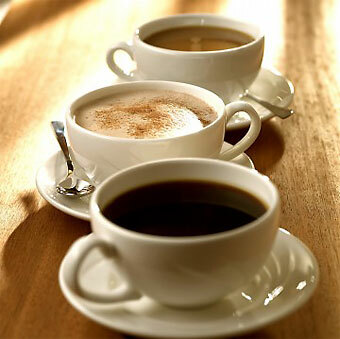 Coffee – Oh my, coffee is to me like a brown elixir of heaven. Really. It smells divine and tastes even better. It gets me going in the morning and winds me down at night. If anyone ever makes a perfume that smells like the finest coffee, I will buy it, wear it and fall in love with myself. Ha-ha! 4. Words – I’m so grateful for words. They can relate so much on how one feels. Either happy, sad, or worse. They can tell someone how you feel about them, they can lift a person up. They can save lives. Words are so powerful. They can make you powerful and strong and brave. Words can make you breathe in and say, “wow”. They make you feel. That has got to be one of the best things in the world, to feel. This week I have read and heard some pretty amazing things in words. Things that have me smiling all week. 5. Clean water – Here where I live, we had a time very recently where we had to boil all our water and conserve it at the same time. Our water treatment facility couldn’t keep up with the job of keeping our water clean. We had higher than usual runoff from the winter snow and it ran into our rivers where the water comes from. And our facility couldn’t keep up with keeping it clean, so there was bacteria in it. You really don’t appreciate clean water till you don’t have it anymore. No showers daily either. No washing clothes for a few days. Ugh. I was so happy when it was lifted and we could go back to normal. 6. Sunshine – It’s spring! Yeah, well, it’s supposed to be anyway. Here we had snow on the first day of spring and the day after. But today the sun is shining bright with the promise of warmer weather to come. We shall see. As it’s pretty cold yet. So I am just grateful for today’s sunshine. 7. Technology – I love technology. It’s so much easier to keep in touch with friends and loved ones. Even if they are thousands of miles away. Send an email, have a chat, send a message, and it is delivered instantly! I love it. And this week was extra special because of it……. 8. WordPress – Yes, I know, I hear you say, “that’s just strange girl!” It isn’t really. I am grateful for WordPress this week as I have ‘met’ some pretty awesome people on here this week and in the past. It’s a place where I can release my words, say things I want, no, need to say. It’s a place where good friends are made. I have some read some pretty wonderful things from other bloggers this week, so I’m grateful to have a place to go to that has that kind of great reading. 9. 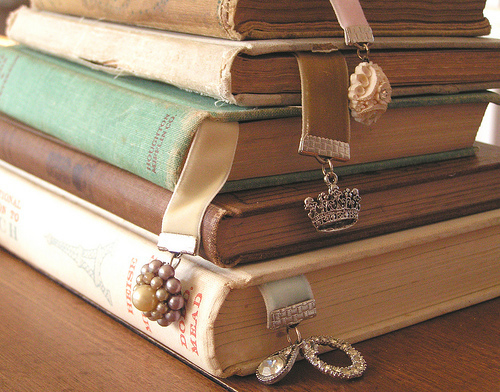 Books – I am always grateful for books. I love books. But this week I am grateful for friends who write books. Like my great friends Maddy Cochere and Helen Kuusela. They even let me interview them. Such trusting good friends that they are. You should go see what they are up to. 10. YOU! – Yeah, you! 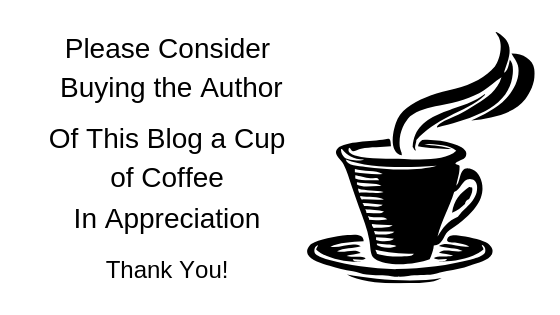 I’m grateful to all the readers who are nice enough to take some time out of their lives to read my blog and like or comment on all my stuff. Without you, this place would be pretty boring and sad. So yes, I’m grateful to each and every one of you. I know a few people who are list people, I am not one of them for that suggests organisation and I am more your hold it in my head sort of person. I do like your list though, except for the coffee, I’m not a coffee drinker, more an ex coffee drinker. Best friends are invaluable aren’t they. The people in your life with whom you can share everything in your life. I love mine too. There are so many things in life to be grateful for, everyday something emerges and you think I am happy for that to be happening, for that person to be in my life, for breathing even. I would probably add good health to my list as I received a good report from my Dr this week. But the others I would agree with, there is a lot in life to be grateful for, and we should tell those people we are grateful for their being there for us. I’ve always been a list person, when I remember to make a list. haha! Best friends are invaluable, I will agree with you on that one. I’m so glad you got a good health report Michael! That’s great! We should always tell people we are grateful for having them in our lives, you are right again. Thank you Michael. I know I can barely function without my coffee! Yay for coffee lovers 😉 And thanks Dianne! Love everything on your list! Including coffee, as you know. I hope the chance is a great one, go for it! Thank you tiny! I am going for it. One day soon I will tell you all about it. 🙂 Big hugs my friend! Good luck and a big hug!! It is great to share gratitude isn’t it? That is why we are friends Marlene! You and I are a lot alike in many things we like. 😉 You need to make new friends, and settle down! lol big hugs! Ah Jackie, I am glad you joined us. Welcome to the TToT, and thank you for giving me such a lovely shout-out on your blog 😀 This is a beautiful hop, full of such wonderful things from a variety of people – I do adore getting not only a window into each person’s world, but the things which are common amongst us, and the things which are unique and special. For instance, a LOT of people are absolutely RIGHTFULLY thankful for sunshine. And thank goodness it seems to be back. But I think you might be the first person to be thankful for WordPress, which, 40 weekends (yes – the whole weekend, for this hop) in, is rather remarkable 😀 Well played. Words. Books. YES! So much yes to these. And best friends. Thank you so much Lizzi! It was fun to do. I’ve been trying to read everyone’s list. They are all so good. Well, WordPress for me had to be included as it brings me such nice people in my world. Thank you. Welcome to the TToT! So glad you joined us this week and with such a lovely list (although I have to disagree with you about coffee because I HATE the stuff). So many good things were included. I think about clean water fairly often, because I have friends living in Haiti where there isn’t much clean water. Not everyone can appreciate coffee, but that’s ok.
Clean water is something I’m afraid a lot of us take clean water for granted. Thank you so much for stopping by! -14C? MINUS 14C? Blimey. I’ll have to stop complaining that “it’s a bit rainy and the temperature’s barely reaching double figures”! Another coffee lover! yay! Thanks for stopping in. Oh coffee…she is a morning saver eh? I love that you mentioned words. When you actually listen to someone, you can hear all of those subtleties in their voice that clues you into how they are feeling. And reading them? Gah…just brilliant. I write my emotions out all of the time. It definitely has so much power. Wordpress is awesome by the way. Love. Thank you Kimberly! So glad you stopped by. You had at coffee! I love love love coffee. So many other good thankfuls here too: words, sun, friends. Ahh. I’d note these all go very well with coffee. Just sayin’. Yes, I live in Canada. Lol The temperatures gave me away! Thank you so much Louise for stopping in. Yes coffee is very important! This post made me feel all warm & cozy! I’m drooling over that coffee pic cuz I’ve cut back a whole lot but it’s making me miss it! It’s crazy how we take clean water for granted. Definitely something to be thankful for. Welcome, welcome, welcome! I love seeing new friends come to call! Especially when the new friend brings the beauty of a post like this one. Everything on this list is true and beautiful and I absolutely love it. Coffee, books, sunshine, friends! Perfection! Thank you Sandy! Everyone has been so super welcoming. I’m glad I joined up. #3, #4, #8, #9 = Absolute Swoon. Thanks Aussa! How you doing girl? Good! Just digging myself up out of the chasm of busyness! Last week was Spring Break and I had illusions of all this amazing time to get things done and tinker about on random things that strike my fancy and yet… THAT DID NOT HAPPEN. Not a big coffee drinker, Jackie, but I agree with you on the smell. I like your other items here, too. I may steal a few for my own ever growing list of gratitudes. Have I your permission? Ahh my kind of thankful list- books, friends and sunshine! Thank you Kate! Glad you stopped in!